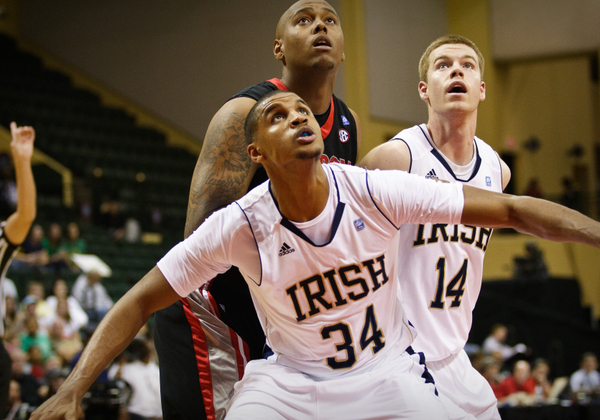 I LOVED…..a good comeback story, in this case Notre Dame’s Carleton Scott. Here’s a guy who didn’t play much his first three years and had an issue of some sort last season that caused him to leave the team for a bit. Well he got his chance this year, and the bouncy 6’8 forward has showed big-time versatility while putting up solid numbers in Irish wins against Georgia, Cal and then Saturday against Gonzaga (a career-high 23 points). It’s nice to see someone with obvious talent taking his final chance, and I wouldn’t be surprised to see him on an NBA roster somewhere next season. I LOVED…..teams who know how to schedule tough. I’m looking at you, Tom Izzo, and you, too, Bruce Pearl. Game after game you send your guys into hostile environments. This week it was Syracuse in New York for the Spartans, and Pitt in Pittsburgh for the Vols. Yes, MSU has struggled thus far, but these tough games are exactly why that team always wins the close ones in March and makes it to the later rounds. Repeat after me: SOFT SCHEDULERS OF THE WORLD UNITE AND CONFORM, you have nothing to lose but your inflated records, media detractors and early tournament exits. I LOVED…..the creation of the Champions Classic. Much like ESPN’s little 24-hour marathon to start the year, matching up four elite programs gets fans amped up earlier in the season. No complaints here. I LOVED…..Illinois using the women’s basketball. Loved might not be a strong enough word. It was hilarious, golden, priceless, whatever adjective you want. If you’re like me, your reaction was something to the tune of: no way…..how…..for seven minutes?? ?…..drop on the floor in laughter. In this day and age of increased replays and greater official oversight in sports, it’s nice to know the zebras can still give us an unthinkable gem like that one. And if you’re Oakland coach Greg Kampe, you’ve gotta wonder what it says about your team that you were significantly more effective with the women’s ball. I LOVED…..the disparity between some of the nation’s top freshmen. You have the Jared Sullingers who come out and produce from the first game (props for the 40-spot against IUPUI), but then you have the country’s #1 recruit, Harrison Barnes, struggling to have a big impact. It just shows again that at least one year in college can be an extremely valuable tool for this young talent. College Basketball’s Unmentionable: the Issue of Point Shaving? It’s not often that we stumble across academic research papers these days, but last week we happened upon one from the Department of Economics at Temple University in Philadelphia entitled, “Point Shaving in NCAA Basketball: Corrupt Behavior or Statistical Artifact?” In the paper, Professors George Diemer and Mike Leeds use various statistical analyses to conclude that not only does point shaving regularly occur in college basketball, but it occurs in two specifically defined situations. Their conclusion builds upon prior work by Professor Justin Wolfers at Penn’s Wharton School, who found a few years ago that approximately 1% of lined NCAA basketball games fell into an outlier suggestive of gambling-related corruption (the math works out to approximately thirty games per year). Using data from a comprehensive sample of 35,000+ lined games from 1995-2009, Diemer and Leeds confirmed Wolfers’ underlying finding — statistical indicators suggest that point shaving in college basketball exists — while giving us a richer explanatory context of when it happens. So when does it happen? 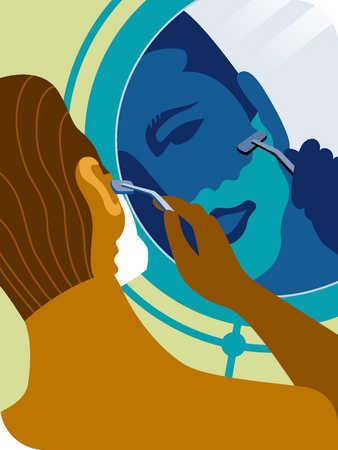 According to the authors, the data shows that the higher a point spread goes, there is greater statistical evidence of an increased incidence of point shaving. In other words, there is a greater likelihood of favorites shaving off a few points when they’re favored by twenty points than there is when they’re favored by fifteen, ten or five points. The intuitive logic behind this premise is that in games with large point spreads, the favorite (a far better team) can afford to give up a couple of meaningless buckets to its opponent at the end of the game because it will not impact the primary outcome — the favorite still gets the win, regardless of whether it wins by nineteen or fourteen points. Conversely, in games with increasingly smaller point spreads, players (or coaches, or referees) trying to shave points would have to walk a very fine line between trying to still win the game while simultaneously staying under the point spread threshold. Given the thousands of confounding factors facing any one person trying to manipulate a final score in such a way at the close of a game, this scenario would seem much more difficult to pull off. The second qualifier that Diemer and Leeds found was that the statistical tendency for the incidence of point shaving to increase along with the betting line only holds during regular season games; during the postseason (conference tournaments, the NIT, and the NCAA Tournament), there is no such effect. The logical premise supporting this contention is similar to the above — in postseason games, there is a much greater level of importance from all parties involved (not to mention public attention) to perform at peak capacity from start to finish throughout the game. During the regular season, where presumably every team lives to play another day, this underlying motivator is less so. You’re probably wondering how the authors can know something is fishy simply from looking at a bunch of excel spreadsheets of point spreads and game results over fifteen years. After all, it’s not like they can show specific instances of point shaving by anyone in particular (such as Toledo’s Sammy Villegas), nor can they isolate which individual games were the most likely candidates of corruption. 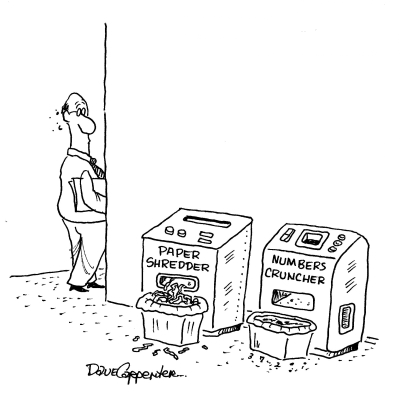 They can only tell us that, given a normal expectation of how data aggregates in a gambling market, there are some trends that cannot simply be explained by random chance. Similar to determining that numerous Chicago public school teachers were helping their students cheat on standardized exams or any number of other economic studies to explain human behavior at the macro level, the answer is that this is what economists do. Obviously, just because it’s their job doesn’t make it sacrosanct. Anticipating some criticism of the study, we asked Diemer and Leeds specifically about two possible issues with their findings. First is whether the concept of line shading — when bookmakers move their betting lines one way or another to maximize their own profits — impacts their findings. After all, if the assumption is that a gambling marketplace seeks to establish equal wagering from bettors on both sides of the point spread, then movement away from that magical 50/50 nexus could sway performance (i.e., the point spread doesn’t represent the true market odds). The authors refute this by suggesting that if bookmakers were manipulating the line in such a manner, then the data would still represent as a symmetrical distribution — but it doesn’t. No matter where the data falls on the curve, it shows the same result: as point spreads increase, there is a greater incidence of point shaving. Here’s your Greg Paulus update from his recent trip to Nebraska; and it appears as if the Dookie won’t be the only basketball player making the transition to the gridiron next fall, as Miami (FL)’s Jimmy Graham will join the Hurricane football team. Credit where it’s due. Tom Izzo will put his money where his mouth is. Remember the Toledo basketball and football point-shaving scandal involving our boy Sammy Villegas? The other shoe dropped on Wednesday. Why announce a tournament field when the field isn’t even set yet? Pat Forde gives his breakdown of the Renardo Sidney recruitment to Mississippi St.
Hey, Tennessee’s most eligible bachelor Bruce Pearl got engaged! Meet Miss Brandy Miller (definitely boobalicious). Remember the Toledo kid (Sammy Villegas) who the FBI busted for pointshaving? In a shocking (!!!) turn of events, the FBI is now saying that it was related to the football pointshaving scandal from last season! (heavy sarcasm alert for you analog types) So… how deep does this mire go at Toledo? Former Johnnie and Dookie Roshown McLeod, last seen fumbling a ball out of bounds in the 98 regional finals in St. Pete, is back on the radar as a new assistant for Tom Crean at Indiana (yes, we’re aware he got a little run in the NiBbA). Too bad he can’t suit up for the new $24M man. Former UNC big man Alex Stepheson will transfer to USC and will attempt to get a waiver from the NCAA (similar to what Tyler Smith did last year at Tennessee) so that he can play this season for the Trojans. His father is suffering from an undisclosed illness. Get ready to see a LOT of Stephen Curry this year (not a bad thing). The Preseason NIT will feature Curry’s Davidson squad in addition to other NCAA teams Purdue, Oklahoma, Cornell, Georgia, Mississippi Valley St., and Arizona. We like the Boilers vs. Curry in the finals. So Ty Lawson ends up with 26 hours of community service (working on his crossover?) and the city of Chapel Hill still has its celebrated point guard in light of his “drinking while driving” arrest back in the spring. Something doesn’t seem too right about that. The NCAA denied Pitt forward Mike Cook’s request for an extra year of eligibility. He played in eleven games last season before suffering a knee injury, and according to the NCAA rules, a player is only eligible for a redshirt season if he played in less than 30% of his team’s games. Pittsburgh played 37 games last year – Cook played in 11. That’s 29.7%, so what’s the problem? The problem is that the NCAA qualifies ALL postseason games as ONE game, which means, by their fuzziest of math, Cook played in 11 of 32 games, or 34.3%. Ridiculous. Did you guys know that Kansas won its title in only one game last March/April? If you remove the “ill” from Sammy Villegas’ name, you’re left with a moniker straight out of central casting for some cheesy 50s Sin City flick – Sammy Vegas. You can easily picture Sammy sliding in and out of cocktail lounges up and down Fremont Street, looking for the next mark on his latest hustle. A recent statistical analysis from the Wharton School at Penn suggests that one percent (~500) of NCAA basketball games from 1989-2005 fell into an outlier that suggests gambling-related pointspread corruption. This dovetails with a 2003 NCAA report that states that 1.1% of NCAA football players and 0.5% of NCAA basketball players accepted money to play poorly in a game (extrapolating from the sample suggests that this affects ~21 basketball and ~112 football players annually). On Feb. 4, 2006, Villegas placed a call to a conspirator in Michigan at about 12:15 p.m. Villegas made another call to a conspirator in Michigan at 12:29 p.m. 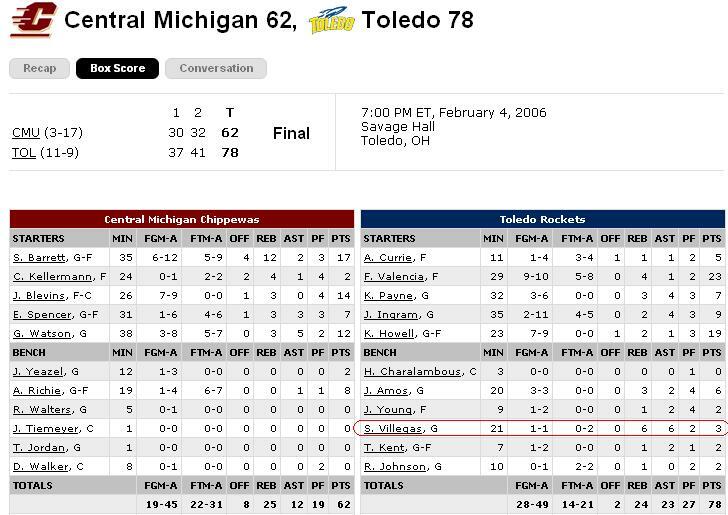 He made another at 3:57 p.m. On that same day, according to the indictment, Villegas is accused of intentionally missing two free throws in a game against “Central State University.” The box score for Feb. 4, 2006, however, shows that Toledo beat conference rival Central Michigan 78-62 that day. The home game tipped off at 7 p.m. Villegas came off the bench to play 21 minutes, hitting his only shot of the game, a 3-pointer, and missing two free throws. What’s odd about that game is that, according to RJ Bell at Pregame.com, the final Vegas spread on it was Toledo -15 points. Despite Villegas’ alleged best (er, worst) efforts, Toledo ended up covering the spread by one point anyway, which would have blown a lot of money of some dangerous folks. Since the indictment only mentions this one game, we don’t know how often or how deep Villegas got himself into this mess, but just looking at his statistics for those two seasons compared to the previous two, it is apparent that something was seriously weighing on his mind (or his wallet). As you can see, his numbers during his last two years are down across the board, which is unusual for an upperclass player who isn’t injured or recruited over. Shooting is precipitously worse in every area, and minutes, scoring and rebounding are also down, as expected. What really caught our eye, though was Villegas’ assist numbers. He’d shown a decent propensity for finding open teammates his first two seasons, but in his last two he hardly ever passed the ball to a teammate in a scoring position. Is this circumstantial evidence that he was wilfully not seeing those openings like he was? We think so. The USAO for the E.D.Mich. can send it payment to us COD. For what it’s worth, his coach doesn’t believe the accusations.